I'd like to wish each & every one of you a very merry Christmas (or a happy holiday season if Christmas isn't your thing) & a happy new year!! 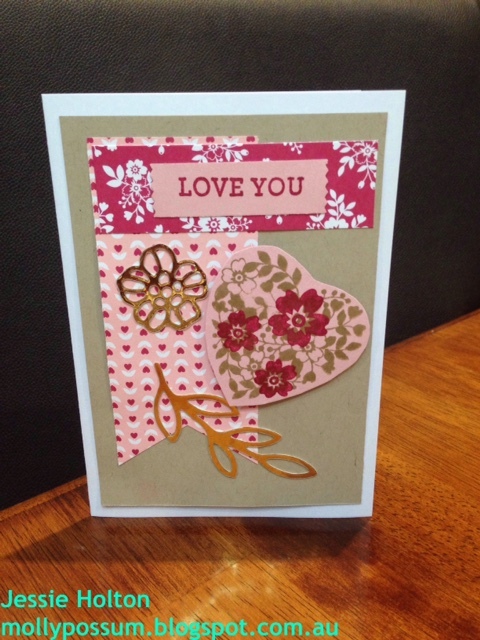 Here's a Crumb Cake version of the card, on a Whisper White base. 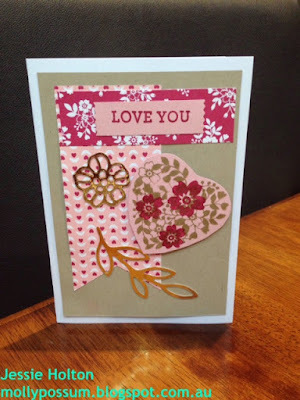 I've used the Love Blossoms DSP and Gold Foil with the flower & leaves from the Rose Garden Die set out of the new catty, cut out on the Big Shot. The sentiment & heart are made on Blushing Bride card stock and have been stamped with the Bloomin Love stamp set in Rose Red & Crumb Cake ink. I fussy cut the heart & used the Washi Label to cut the sentiment. The heart & sentiment are propped up on Dimensionals. 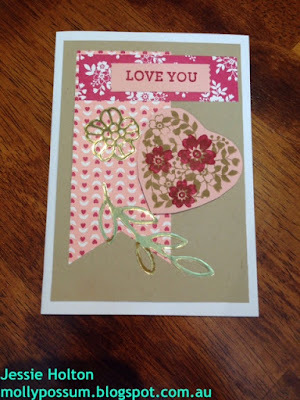 I used the Fine-Tip glue pen for the gold flower & leaves, & the snail glue for the rest. The Love Blossoms DSP, Bloominn Love stamp set & Rose Garden Die set all come out of the new catty, available on 5 January 2016.